Voting Rights Act: How Congress can save it. Here’s the best option for Congress. 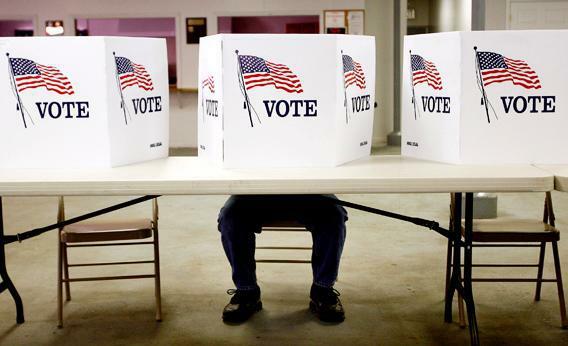 A voter casts a ballot in Flushing, Ohio, on March 6, 2012. This week, the Senate holds its first hearings on how to respond to Shelby County v. Holder, the momentous Supreme Court decision that knocked the capstone out of the Voting Rights Act. Since 1965, the part of the law called Section 5 has required certain states and localities with a history of discrimination, mostly in the South, to get the federal government’s approval before making any changes to their election laws. Last month, the Supreme Court held 5–4 that Congress may not impose the preapproval requirements unless the formula determining which places are subject to federal oversight is grounded in “current conditions”—meaning conditions that bespeak an elevated risk of intentional racial discrimination today, rather than state practices and voting patterns from 40 or 50 years ago. The formula for Section 5 the court struck down was based on the use in the 1960s of discriminatory tactics such as poll taxes and literacy tests and low rates of voter participation. That formula was not “logically related” to the risk of constitutional violations today, wrote Chief Justice John Roberts, because the discriminatory tactics have been banned and minority voter participation is no longer particularly low in the South. Such progress might mean there is no special risk today of unconstitutional race discrimination in one region or another. But it could just as easily be interpreted as evidence that federal oversight has been highly effective. To gauge whether minority voters still face a heightened risk of discrimination in certain states today—and whether federal oversight should continue there—you have to look at societal conditions that are largely independent of election laws. You have to look at white voters’ attitudes and behavior. One possibility is to base a new formula on racially polarized voting and the size of the minority population. Where voting is racially polarized—meaning that white and minority citizens strongly diverge in their preferences for candidates, policies, and political parties—the majority group has a political incentive to keep minorities from voting and to dilute their voting power. This incentive is presumably stronger where the minority group is large and growing, as in Texas, than where it is small and electorally inconsequential. There is a catch, however: The Supreme Court has tried hard to distinguish political from racial discrimination. Voter ID requirements, or gerrymandered electoral districts meant to keep Democratic voters from wielding power, don’t run afoul of the Constitution’s protections for racial minorities, even if they disproportionately burden blacks. Because a polarization-plus-population-size formula for Section 5 would only capture the partisan incentive to discriminate against minorities, the Supreme Court might not accept it. Congress could fix this vulnerability by instead basing a new formula on evidence of racial stereotyping. (Or Congress could use both racial stereotyping and polarization data.) In 2008, social scientists conducted a large national survey in which Americans were asked to assess different racial groups in terms of their work effort, intelligence, and trustworthiness. The answers people give to these questions are strongly correlated with their political preferences. Respondents who expressed the lowest views of blacks, for example, were much more likely to vote for McCain than Obama in 2008 and to vote for a white Democrat rather than Obama in the 2008 primary. The ones who voted for Kerry in 2004 were more likely than other Kerry voters to vote Republican in 2008 rather than backing Obama. This study controlled for ideology and partisanship—in other words, it isolated racial stereotyping as a factor in voters’ preferences. This doesn’t prove that unconstitutional race discrimination is more common in places where white voters negatively stereotype minorities. The Constitution’s safeguards only apply to “state action”—decisions of the government, not decisions of individual citizens. But it’s likely that private and public discrimination go hand in hand. Legislators chosen by prejudiced voters probably share many of the same stereotypes as their constituents. If they act on such predispositions—canceling early voting, for example, because it’s popular with African-Americans—they’re violating the Constitution’s guarantee of equal protection. Lawmakers who don’t buy into the stereotypes will nonetheless face pressures to cater to their constituents’ attitudes, which the Constitution equally disallows. And it is no stretch to suppose that white voters who have dim views of blacks will give more support to laws that dampen minority turnout or diminish minority voting power through gerrymandering. Who wants a government of the dumb, the lazy, and the dishonest? Chief Justice Roberts—author of the opinion in Shelby County striking down the old Section 5 formula—himself acknowledged the connection between private attitudes and unconstitutional race discrimination when he asked during oral argument, “Is it the government’s submission that the citizens in the South are more racist than citizens in the North?” The solicitor general had no answer for him. But it turns out that the South is different, even if it’s uncomfortable to say so out loud. The proportion of nonblack residents who subscribe to negative stereotypes of blacks varies a lot from state to state. The states that rank worst for anti-black stereotyping are mostly former Jim Crow states. These are also states with large black populations and exceptionally polarized voting patterns. So whichever criteria you pick—racial stereotyping, racially polarized voting, or minority population size—the answer to the question of which states should be covered by Section 5 is unchanging: the same states that were covered under the “outdated” formula that the Supreme Court just invalidated. None of this is to say that it will be easy for Congress to pass a new formula. There is more dissension about the Voting Rights Act today than there was in 2006, when it passed 98–0 in the Senate. Some members of Congress may resist a formula that appears to label some states as more racist than others. Others will resist the idea implicit in basing coverage on polarized voting, which is that minorities are most vulnerable where whites vote overwhelmingly for Republicans. But if a new formula doesn’t pass, the failure will be one of political will. The Supreme Court left a path for putting Section 5 of the Voting Rights Act back to work. Congress can and should forge ahead.